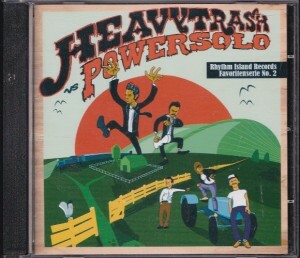 Jewelcase CD edition. 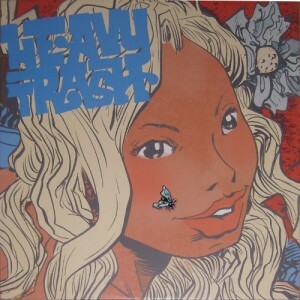 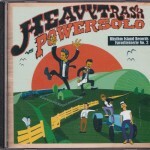 The insert artwork features an image of Powersolo and Heavy Trash taken during their US summer tour of 2007 but is not present on the 10″ version. 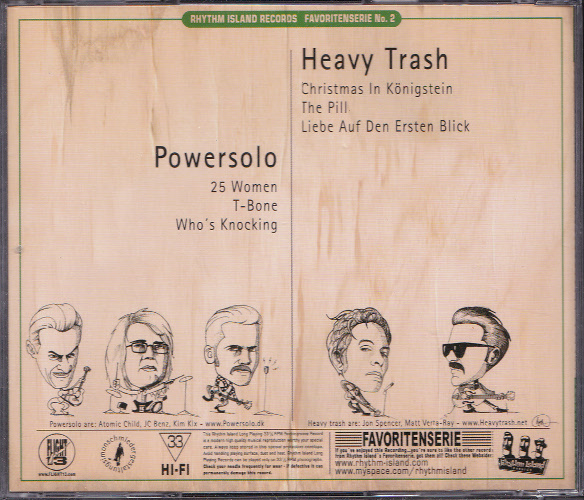 The 10″ edition was available with a CD (first 250) and features additional sleeve notes. 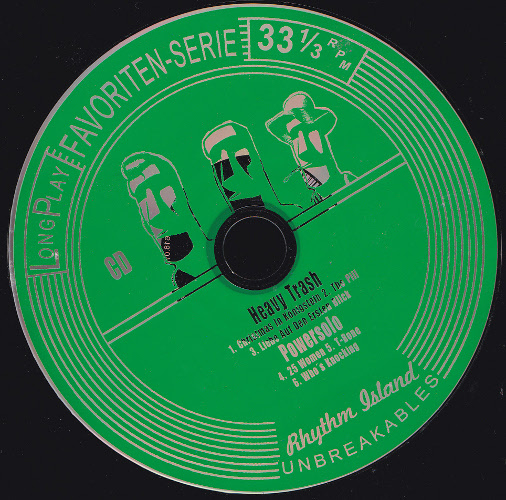 Available from the Rhythm Island Records myspace page, Flight13.com and perhaps also the Crunchy Frog Vibrashop.com. 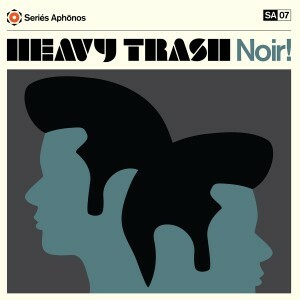 Liebe Auf Den Ersten Blick by Heavy Trash is a cover+ of a D.A.F. 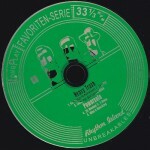 track (RELEASE) and the run-out groove engraving of the 10″ vinyl release features the German text “Du machst mich verliebt” (Side A) and “Du machst mich verrückt” (Side B) which is taken from the original lyrics of the song. 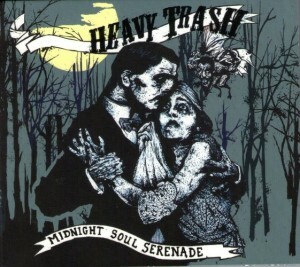 A rough English translation of this is “You drive me crazy” (Side A) / “You make me fall in love” (Side B) and I believe the song title is “Love at first sight”. 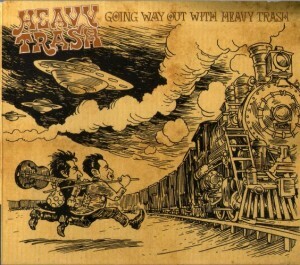 The cover/rear paintings are by ‘Marsn’ (who is also in the band Mongouse). This is No. 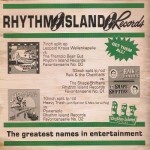 2 in a series of split released put out by Rhythm Island Records (No. 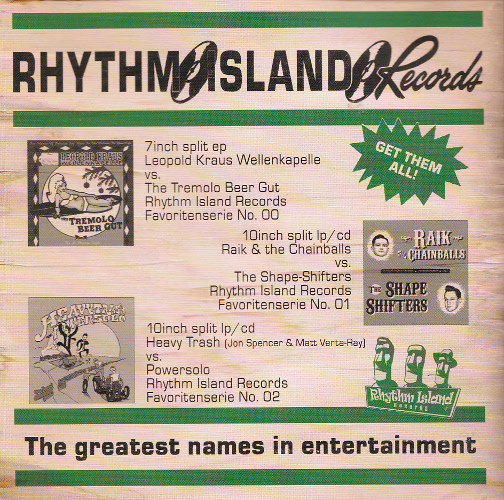 1 featured Raik & the Chainballs/The Shape-Shifters). 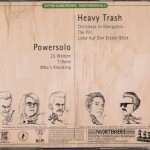 *the 10″ sleeve does state ‘Paintings by’ and feature a signature.